And just like that winter was gone! April is here and it’s GO TIME on the MO. 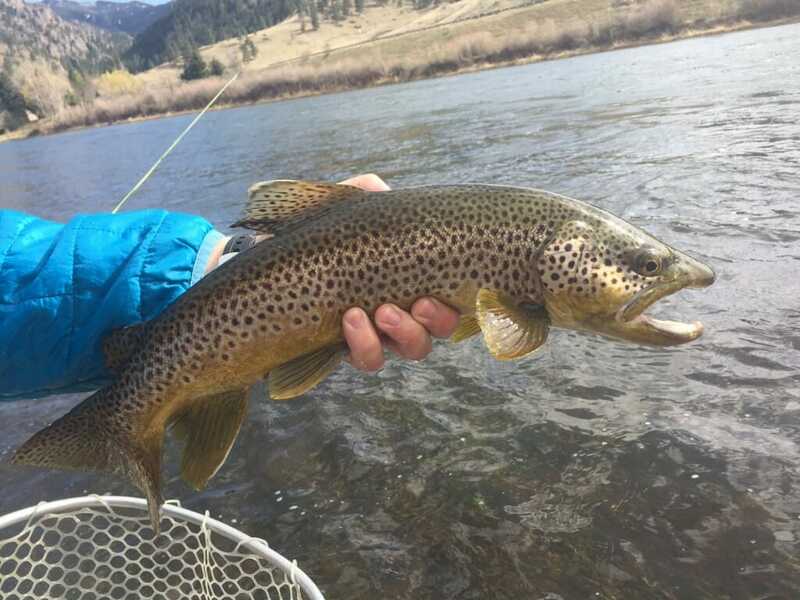 The fishing is heating up and Wolf Creek and Craig are starting to come alive after one of the more brutal winters in recent memory. The river is seeing some moderate to heavy traffic, especially on the weekends and especially in the Holter Dam to Craig stretch. More importantly (from where I sit) the shop is busy and that’s good because spring shipments are arriving daily and the product is starting to stack up. We’re fully stocked with all kinds of great new gear. Simms waders and boots, tons of new bugs, Lamson and Ross reels, Loop, Echo and Redington rods, Korkers boots and the best of men’s and women’s 2019 sportswear from Simms. Piles of fly boxes, lines, leaders, tools and accessories. Boat bags and packs from Fishpond and Simms. Awesome new sunglasses from Smith and Suncloud and a sale rack you’re not going to want to miss. All Remaining Winter gear needs to go NOW! We’ve got the best deals you’re going to find on cold weather gear from Simms including jackets, hats, gloves, socks, flannel shirts, coldweather pants and more. Get em’ before they’re gone. As of today lodging is 100 percent OPEN and we’re excited for our first FULL HOUSE of the season coming this weekend. It’s been a long and lonely winter around Wolf Creek Angler. Let the busy season begin! Spring Special Guide Trips in effect…just $400 through the end of the month. Don’t miss this awesome opportunity to fish the amazing MO with the best guides in the business and save yourself $150 while doing it. The fishing is good and getting better and while we’ve still been flirting with some winterish weather the 10 day looks good with highs in the 50’s through the weekend and a little cooler heading into next week. Perfect spring fishing weather. Nymphs, streamers, dries….it’s all happening right now. We are your Missouri River one stop shop with everything you need for your day on the water. 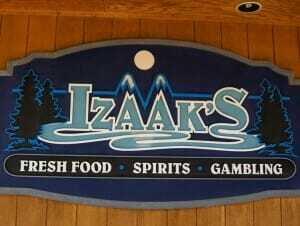 Guides, rooms, shuttles, fishing licenses, the best coffee in the canyon and the biggest and best selection of bugs ever assembled under one roof in Wolf Creek Montana. Open 8 am daily for all of your fly fishing needs. Just a quick river update this morning. We got a good amount of rain yesterday along with cooler temps which has helped tremendously with the fires. I’m actually looking at some patches of blue sky this morning. It’s feeling like fall out there with a current temp of 50 degrees. The high will be just shy of 70 today. Patchy smoke, partly sunny skies and light winds combined with cool temps and no traffic could spell NEAR PERFECT CONDITIONS out there today. 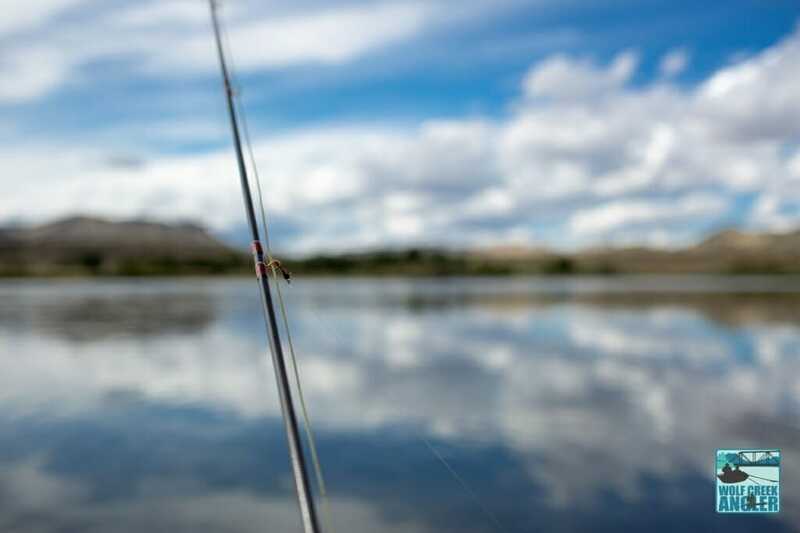 We recommend putting in at Holter Dam if nymphing is your game plan. The Dam to Craig float has been very productive as of late with the run to Wolf Creek Bridge definitely producing the best results. Crowding is NOT an issue right now but if you don’t like being around other boats then skip the row arounds and just hot spot your way down. If you leave the dam crowd early you’ll have plenty of good water to yourself if you want to do row arounds. Wolf Creek to Stickney has been my go to lately for a great mix of dry fly action and nymphing and the canyon has been great for solitude and is probably your best bet for terrestrial action. Status quo on the bugs. Peep Shows, black zebras and Frenchies have led the charge in my boat but LGM’s, S & M’s, Weight Flies, Redemptions, Psycho Mays, Tung Darts, Tan UV Czechs and 2 Bits have all been producing as have zirdles and snapping crays. Best selling Trico….BY FAR has been the Indicator Spinner followed by double wing, hi vis spinners, drowned tricos and buzzballs. No need to limit yourself to those though. We’ve got endless options if you want to show them something different. We would concur with what you’ve read elsewhere however that if you aren’t getting them the bug is generally not the problem. It’s all in the presentation so bring your A game. Practice in the offseason….not during the game! There are a lot of folks missing out on the best dry fly fishing of the season and depending on the day the nymphing could blow your mind. Our loss is your gain…Get out there and enjoy it before the return of the crowds. They are coming. You’ve got 10 days left to take advantage of our Dog Days Guide Trip and Lodging Special. Book a full day guide trip and one night of lodging and the second night of lodging is on us through the end of August. Give us a call at the shop or swing by for up to the minute reports and conditions, the best bugs and the friendliest service you’ll find anywhere. Can it really be that there are just four days remaining in the month of June? Like it or not, the season is rapidly passing us by and we’re still waiting for the water to come down which sooner or later it will. And while sooner and later are relative terms we’re confident that two weeks from now we’ll be looking at more wade-friendly flows and perhaps the best dry fly fishing of the year. Traffic has been on the rise this past week with the Missouri still being one of the few and likely the best option in the state right now. Last week’s heavy precipitation delivered the punch we’d been hoping to avoid. 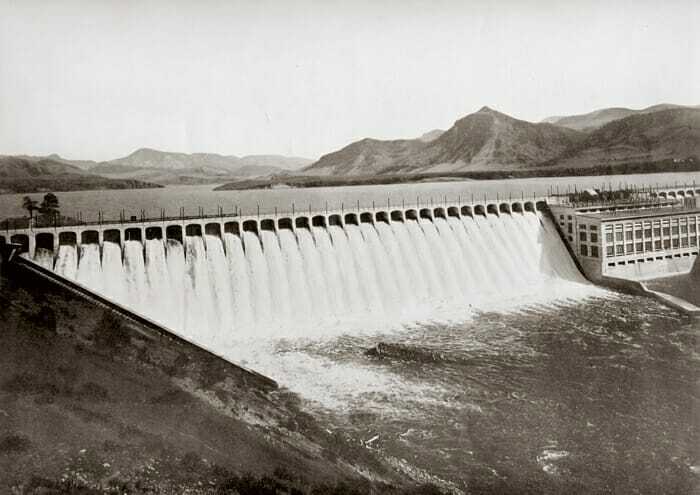 The swollen waters caused widespread flooding and road closures in our region and muddied up the MO below Little Prickly Pear and Dearborn which has made the Dam a VERY BUSY PLACE. The good news is that things are on the drop and the weather forecast looks favorable to maintain this trend. 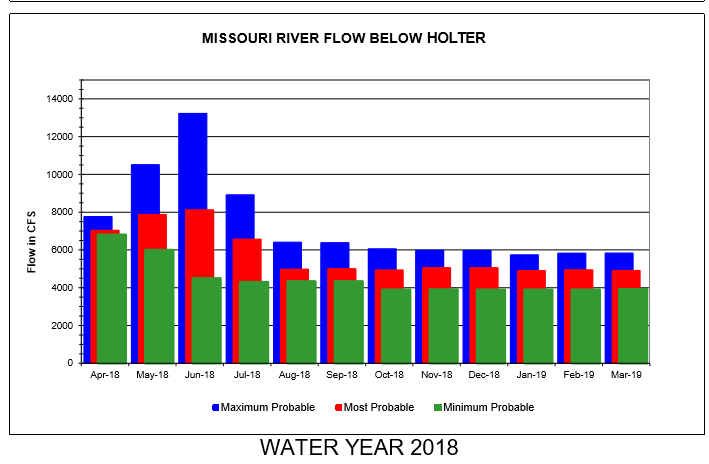 The bad news is that flows on the MO had to be held steady while the tribs blew up but now that things are on the drop it’s time to dump the excess, hence the bumps in flows on the MO this week. It’s not all doom and gloom though….here’s the brighter side of things. The creeks have been off limits for much of the time they’ve been open this year due to the high flows but things are about to come into shape and we should be in for a great summer of creek fishing. Many a season we’ve already been under Hoot Owl closures by this time on some of our favorite small water haunts so we’re stoked to have things just coming into shape as we approach the first of July. Fishing on the Missouri has been excellent despite the high water and it’s about to get even better. As you’ve no doubt been reading the nymphing on the Missouri has been nothing short of awesome more often than not this season. Sow bugs have remained the steady diet of our trout for months and while I’m not saying there haven’t been a few tougher days out there, more often than not the fishing has been good. The right water, the correct depth, the right amount of weight and a sow bug or two has been the key day after day, no matter the flows. The baetis have come and gone and the PMD’s are soon to be in the rearview but not to worry. We’ve got at least a couple of weeks left of PMD activity and Tricos are on the horizon. Dry fly fishing has been a challenge to say the least but a few days of dropping flows (which we should see very soon) could totally change the game. If you’re headed our way sometime soon you might just be in for some phenomenal dry fishing. You’re just in time for HALF PRICE FLIES! As always, the Fourth of July is the day for the annual WCA Make American Fly Again Half Price Fly Sale. It doesn’t get much better than half price flies! Traffic is spreading out on the MO’. 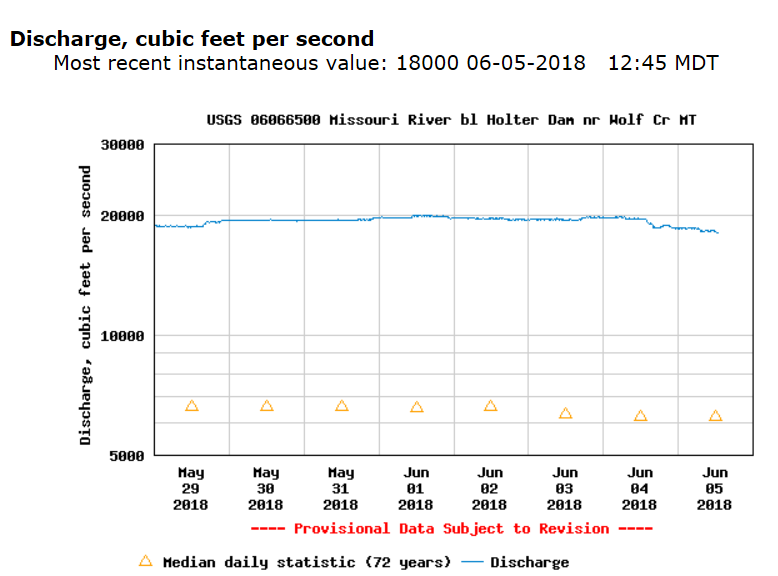 You can plan on seeing plenty of activity at the dam and Wolf Creek from here on out but maybe not quite so crazy as it’s been this past week. The water is rapidly clearing and people have already started to wander into the lower stretches. It makes all the difference in the world to have 30 miles of water to work with rather than eight. The Missouri has become a VERY busy place this week with displaced anglers, guides and outfitters arriving in droves. 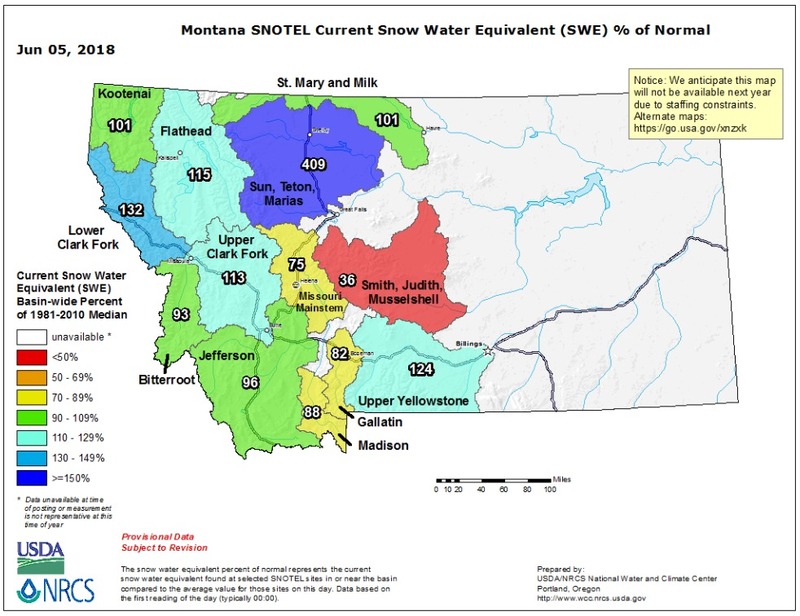 There has been plenty of discussion recently about how high flows will end up going this season on the MO’, but the fact is it’s about the only game in town at this point so if you had plans to fish in Montana in the near future chances are you’re going to end up here. 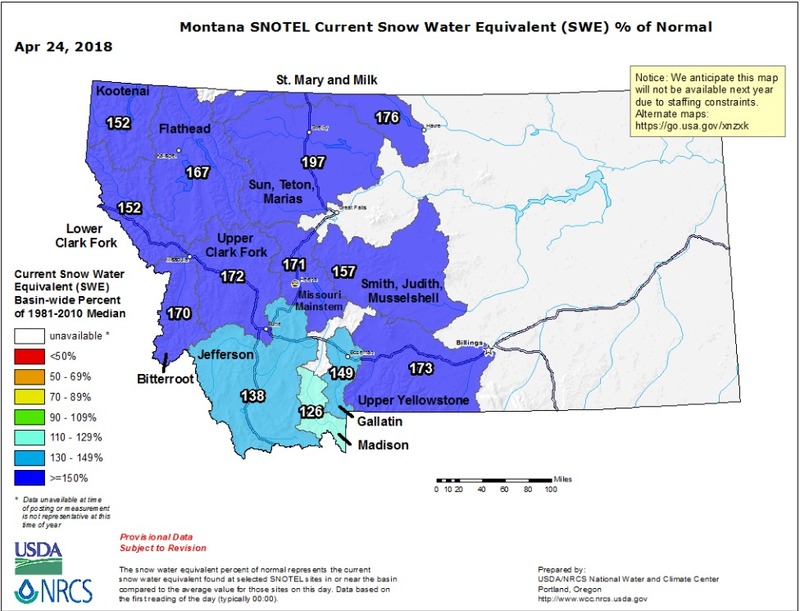 We’re still not comfortable making predictions so we’ll leave that up to the experts but what we do know is that we’re currently sitting at around 120 – 180% of normal Snow Water Equivalent in western Montana. There’s plenty of snow in them there hills though it sounds like we’ll begin to see a reduction in snowpack as we get our first real heat wave of the season at the end of this week. It won’t be quite so warm in the high country but down here they’re calling for 80 degrees on Friday and Saturday. Things will return to more seasonable conditions on Sunday and early next week as we return to daytime highs in the 50’s. 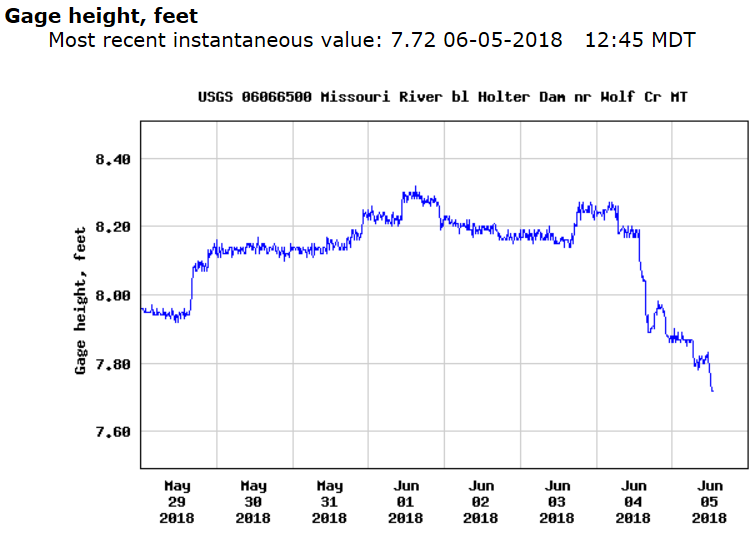 The current flow on the Missouri below Holter Dam is 9670 CFS. The flows have increased steadily over the past week as Canyon Ferry prepares for the imminent spike in inflows coming soon with runoff. How much water will we see? Again, we’ll leave the predictions to the experts but what we can tell you is that you have nothing to fear at these flows. 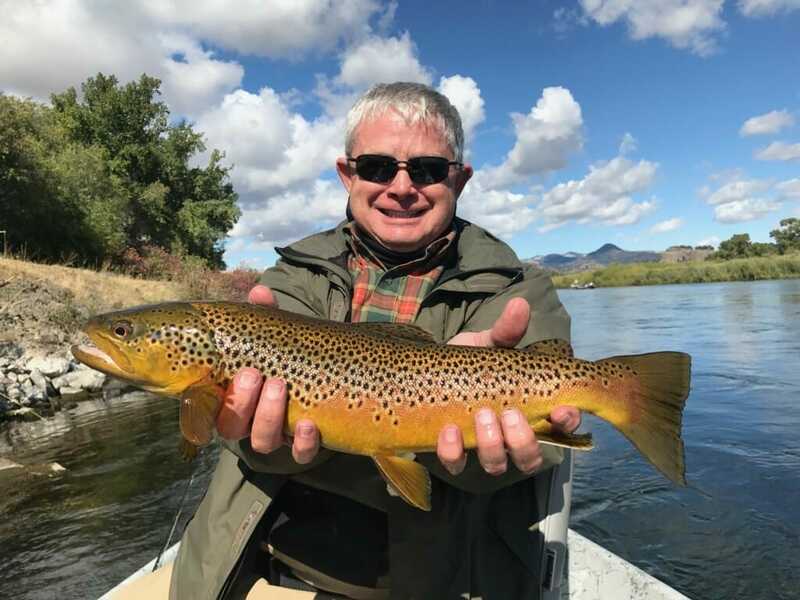 We wouldn’t necessarily recommend wade fishing at this point but you’ll be fine in a boat and there are plenty of fish being caught our there, primarily on nymphs and streamers, but we’ve heard of some successful dry fly outings as well. Look for these trends to continue as that water continues to warm. It’s time to break out the split shot, the long leaders and the wire worms. Things have been consistently inconsistent out there due in large part to the frequent changes in flows but your best bet for the time being is definitely going to be deep nymphing. I’d recommend starting out with something in the 7 – 8′ overall length. Go with a firebead wire worm or something on the large (#10 or #12) side with a tungsten bead (Amex/Weight Fly/Rainbow Czech) paired with a Tailwater sow, Pill Popper, Caviar Scud or something BWO ish like a Grey Little Green Machine, a dark Peep Show or a Psycho May. Add a bb or two and start probing your way through the likely runs. Which runs are the likely ones? The fish are going to be in many of the runs you’ve historically found them in but daisy chains of guide boats are a pretty good indicator of where the fish are. Go deeper than you normally would and make sure you’re occasionally touching the floor. Start tighter to the bank than you’d normally be, fishing inside out and work your way out. Row arounds can be a challenge in these flows but not always. There are plenty of spots where the extra water actually creates easy row arounds where before there were none. Bug selection has been a challenge with a bunch of different patterns catching fish here and there and nothing really lighting them up. You’ll want to make frequent changes until you find what works but make sure you’ve got the depth thing figured out before you start changing your bugs. Stop by the shop on your way to the water and we’ll tell you what we know whether you buy bugs from us or not. We’re always here to help you find success on the water. 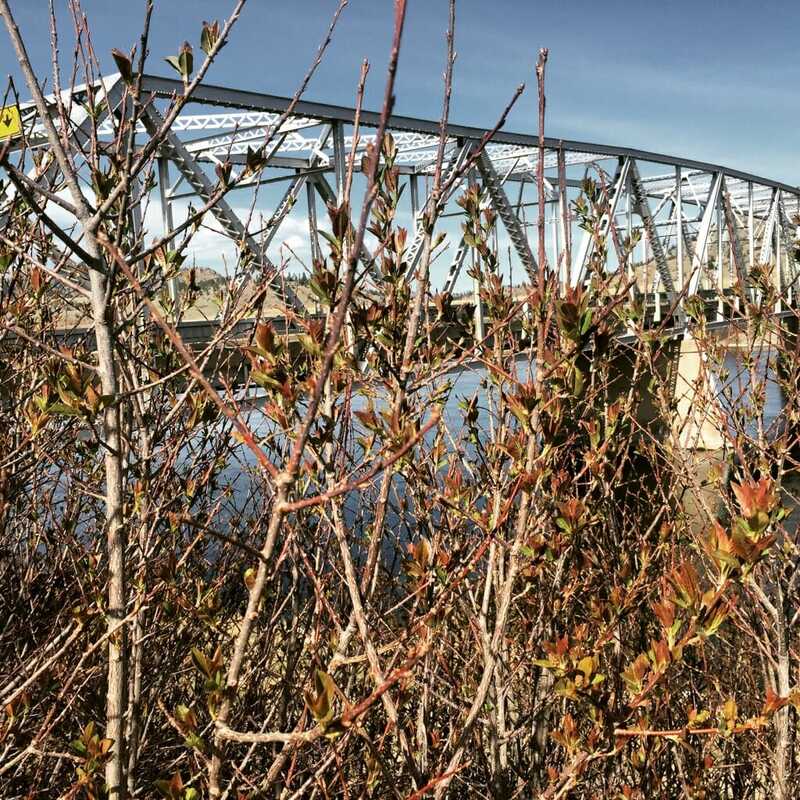 Whether that’s guiding you or just giving you honest information about where to go or what to use you can always count on Wolf Creek Angler for open, honest and up to date Missouri River intel. Streamer fishing has been decent but you’ve got to choose your spots. Many of the go to banks are just too fast right now making it virtually impossible to get down where you need to be. That being said, if you know what you’re looking for there’s an abundance of great streamer water to be fished and these bigger flows often give up some monster browns seeking a soft water respite. Swing by WCA for the best streamer selection on the Missouri including a bunch of bugs you wont’ find anywhere else. Like the streamer fishing, the dry fly fishing is somewhat limited right now for the same reason…too much water but once again, if you know where to look you could be in for some phenomenal dry fly fishing over the next couple of weeks as the water warms and the BWO’s flourish. Think quiet water…that’s where you’ll find the sippers. 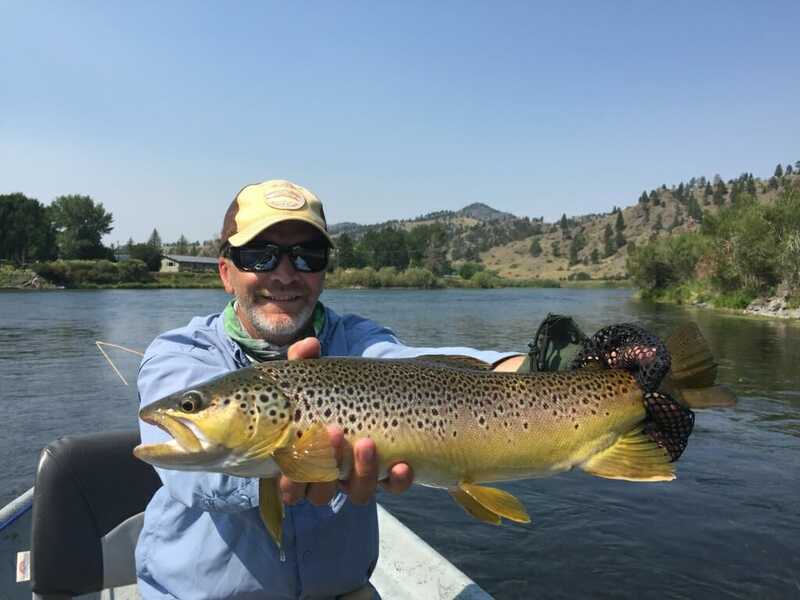 Once again, if you’re planning to fish in Montana over the next month or so then you should plan on fishing the Missouri. 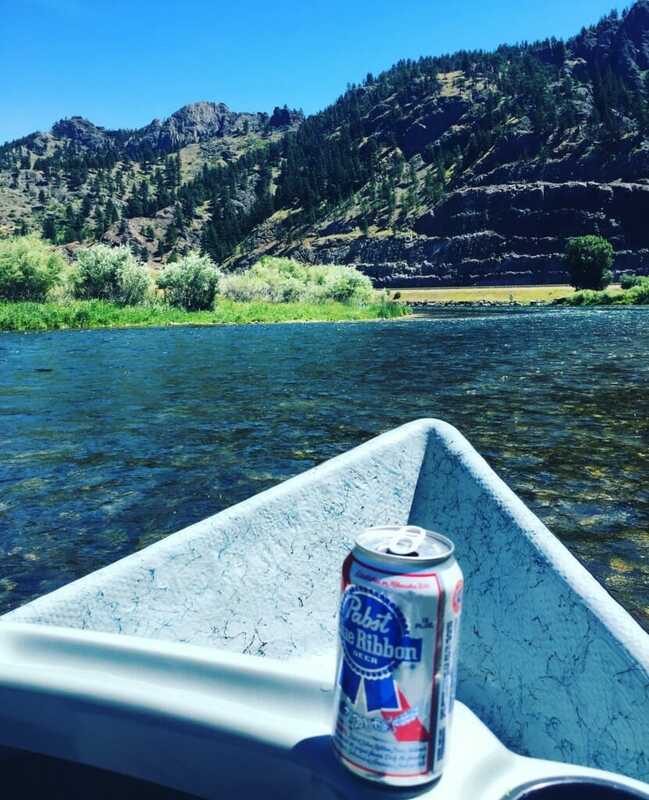 As you might expect we are very busy with lodging and guide trips but we definitely have openings and we’d like nothing better than to get you booked and on the water. We’re full this weekend but things open up on Sunday and we do have availability next week. Keep in mind you’ve only got a few days left to take advantage of the best deal on the Missouri. Two nights of premium lodging and a full day guide trip for just $550 (plus tax). We invite you to look for a better deal…you won’t find one. Regular season rates resume on Tuesday, May 1st. 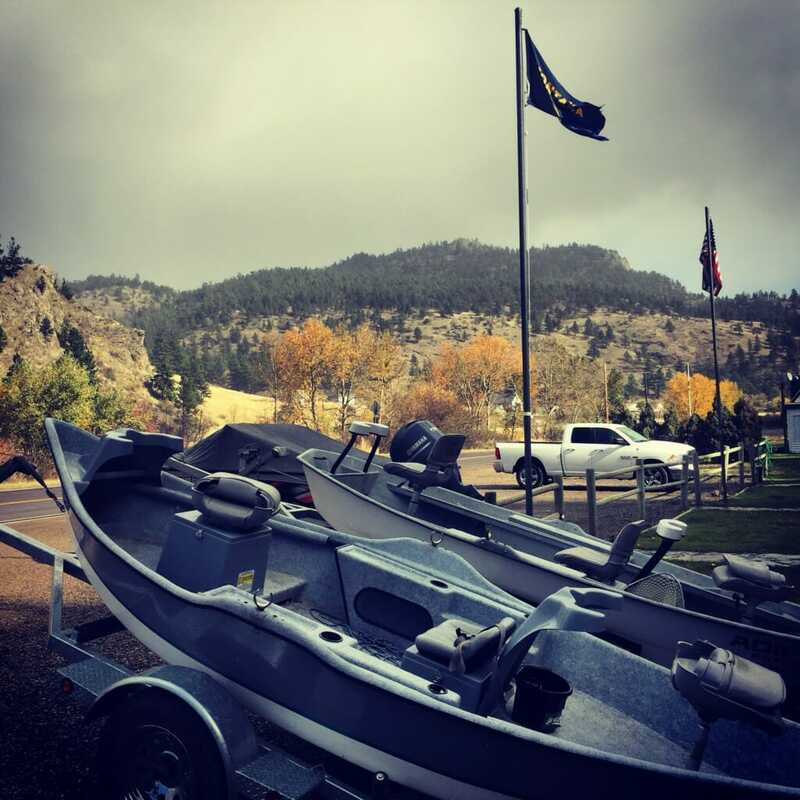 We hope to see you soon at Wolf Creek Angler. 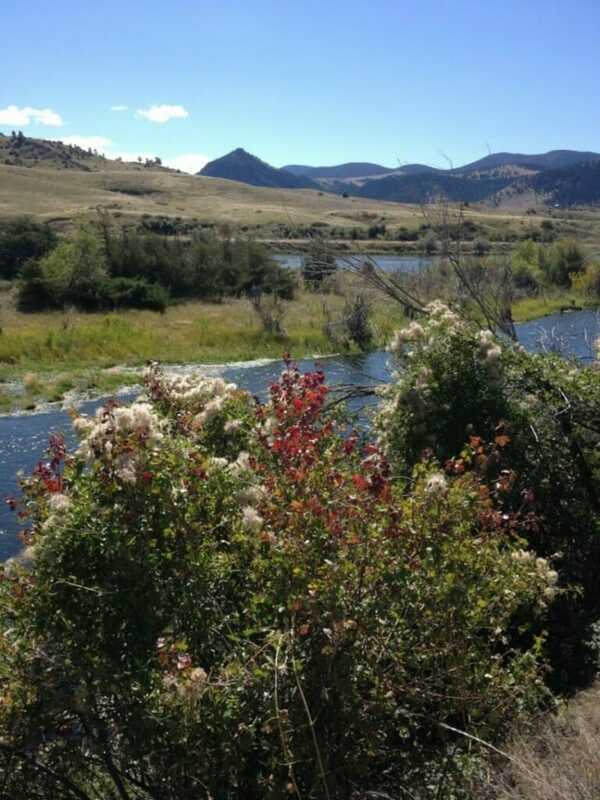 We are your Full Service Missouri River Fly Fishing Destination.